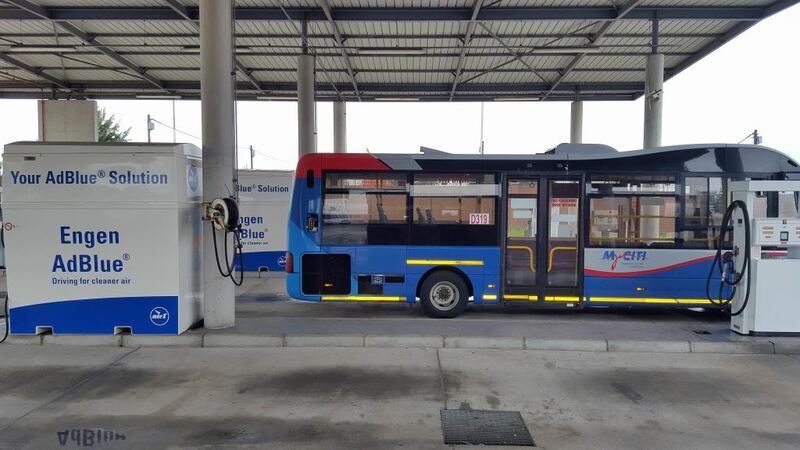 My CCIT buses in Cape Town use AdBlue® which is used in conjunction with selective catalytic reduction (SCR) units in exhaust systems. It reduces nitrogen oxide (NOx) emissions in diesel engine exhaust gases in line. Three years after introducing AdBlue® ahead of other local oil majors, Engen is making concrete progress towards the development of its AdBlue® business and is demonstrating its commitment to a more sustainable future growth path through the supply of AdBlue® and low sulphur fuels into sub-Saharan African markets. Engen has introduced a new custom-designed AdBlue® 3.5 Litre “jiffy bag” for the passenger car aftermarket. Great idea. 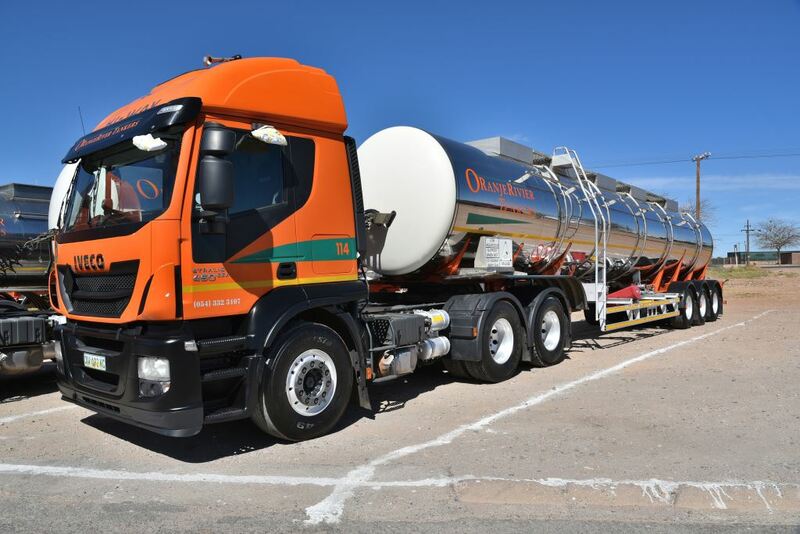 The company’s efforts have seen steady growth in the uptake for AdBlue® in the local market with a number of truck, bus, fleet and passenger car operators having recently come on board. 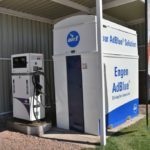 “Fleet truck and bus operators represent potentially easy-to-serve customers for AdBlue®,” says Sydney Brὕckner, manager: Emission Fluids at Engen. AdBlue® is used in conjunction with selective catalytic reduction (SCR) units in exhaust systems. It reduces nitrogen oxide (NOx) emissions in diesel engine exhaust gases in line with forecasted stricter exhaust emission regulations for vehicles operating on South African roads. 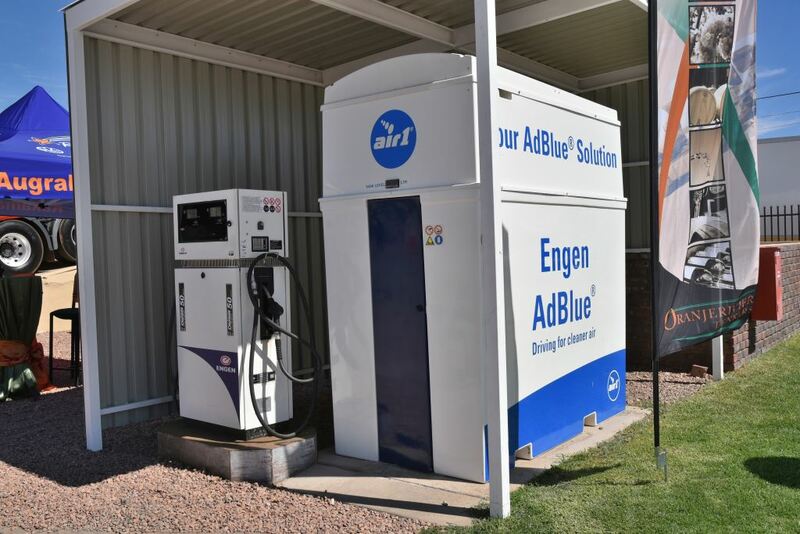 “Engen continuously strives to provide new product and pack solutions that match changing market requirements,” says Bruckner, “which is why we recently introduced a new custom-designed AdBlue® 3.5 Litre “jiffy bag” for the passenger car aftermarket that use AdBlue®”. 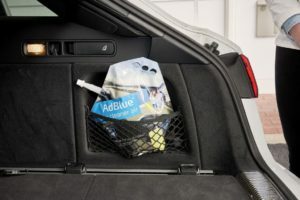 The innovative new AdBlue® jiffy bag is easy and quick to use because it is one integrated design, specifically developed for AdBlue® refilling. The long nozzle is an integral part of the package, unlike conventional AdBlue® containers which typically have screw-on spouts. When AdBlue® is poured from the pouch, no air needs to replace it as the pouch simply collapses for a faster and cleaner refill with no spill. This prevents corrosion of paintwork, crystallization, smells and contamination caused by spillage. Brὕckner says the South African government has agreed to provide a world class transportation system for its citizens that reduces both the cost of transportation and the quantity of Green House Gases and other pollutants that are emitted by the sector. Local energy and transport sectors have been identified as key trade sectors in this drive. Furthermore, it is encouraging to note that a number of local vehicle manufacturers and various industry stakeholders, over the past three years have been discussing and developing methods that could help curb exhaust emissions from automobiles. Commitments by a number of countries – including South Africa – to reduce greenhouse emissions was agreed to at the Copenhagen COP15 and reaffirmed in September 2015 at COP21 in Paris, which has created a political pathway for global carbon mitigation efforts. It is now up to the petroleum and transport sectors to demonstrate how carbon-free mobility can be achieved. “Over the past few months we have noticed that a number of local automobile manufacturers (OEM’s) are making headway in reducing exhaust emissions and fuel efficiency improvements with sustained efforts. 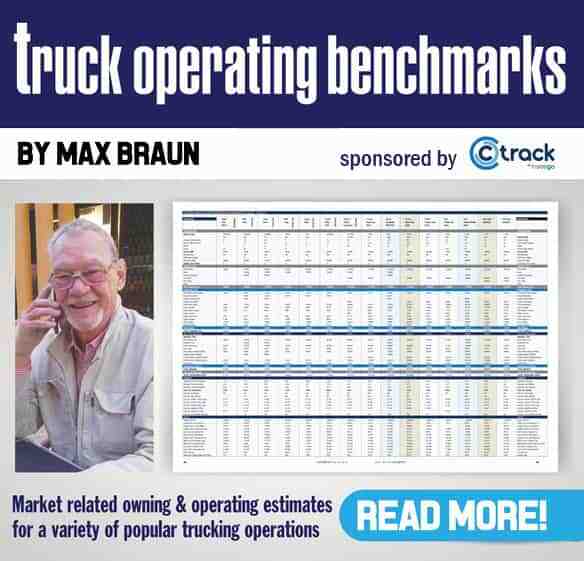 Reassuringly a small, but growing number of Euro V and VI configured trucks, light commercial vehicles and passenger cars are already operating on South African roads and fitted with SCR units,” adds Brὕckner. Demand for AdBlue® has been projected to rise slowly in coming years for sub-Saharan Africa but industry sources forecast better than average growth for AdBlue® in South Africa as improving fuel economy and reducing CO2 remains a high priority for OEM’s operating in South Africa. “This bodes well to continue to deliver volume growth over the next few years or so. 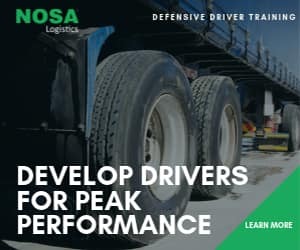 However, it will be somewhat tempered in the absence of tougher exhaust emission legislation for vehicles operating on South African roads,” says Brὕckner. 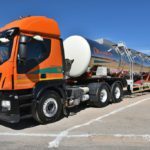 Engen bulk and pack AdBlue® capability provides optimal logistics and security of supply. AdBlue® is available at Engen Truck Stop outlets and at select transient route Engen service stations across Sub-Saharan Africa.